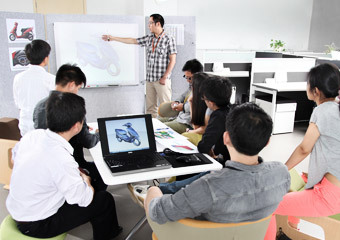 Established in Shanghai in 2001, Way Design, a resource-integrated design company concentrating on product design, has so far been focusing on leisure transportation design, including motorcycle, ATV and other special vehicles. Additionally, our advantages in experienced practical design and multi-channel resource integration, allow us to provide comprehensive whole vehicle design and promote product value through strategic innovation and process optimization, thus maximizing customer benefits. The Enhancement Of Design Competitiveness Is A Result Of Comprehensive Innovation. 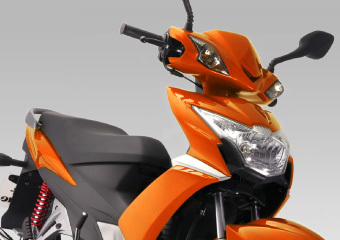 Being widely used among leisure transportation in domestic market, motorcycle is designed with an emphasis on practicability. In this field, we try to control two aspects of product innovation and process innovation: integrating resources and design strategies, infusing modern design concept and styling elements, and emphasizing harmony between aesthetics and practicability, to improve design competitiveness and bring a brand new look to our product. Based on our strengths, we also assist Great River Group with its top sales rankings for 10 years running. We are equipped with a highly creative and cohesive team, which positions the project team as the basic working unit. In this way, full play of personal creativity, establishment of common ideology and collaborative spirit are allowed, so as to achieve higher working efficiency. Our team members are mainly from China, Taiwan and Japan. The fusion and collision of different cultural backgrounds and design concepts continuously stimulates fresh design inspiration; meanwhile, cross-cultural or cross-regional cooperative communication keeps us eyes-opened and broad-minded, and endows our design with fresh ideas and rich connotation. for the purpose of winning by creativity, Way Design performs its striving for excellence in executive and realizable force, which offers guarantee for smooth operation of project processes and diversification of design ideas.We strive for persistent innovation of project processes and excellence of each link—attention to details and persuasion of perfection—this specialized working model can fully ensure maximization of customer benefits. We also strive for excellence in employee development. For staff improvement, we depend on demands to hold various trainings and quality development activities on a regular basis, ensuring constant self-fulfillment and self-improvement after work.